Fractional meso is a new generation of beauty treatment that focuses on collagen induction. In only a few treatments it reduces wrinkles, pigmentation and improves the skin texture. Fractional Mesotherapy is a new treatment, which combines microneedling therapy with the contemporary Mesotherapy practice. Since the 1990’s, microneedle therapy has long been used by practitioners in the form of Collagen Induction Therapy (CIT), to fade scars and generally as an anti-ageing treatment. Recently smaller size microneedles have been recognized for their capacity to dramatically increase the bioavailability of topical treatments and further enhance their transcutaneous absorption. The first key benefit from Fractional Mesotherapy is the induction of collagen by controlled wounding. The body is a complex and remarkable machine, and the dynamic process of wound healing is a great example of how our body’s different systems, along with the proper wound care products, work together to repair and replace devitalized tissues. When the skin is injured, our body sets into motion an automatic series of events, often referred to as the “cascade of healing,” in order to repair the injured tissues. The cascade of healing is divided into these four overlapping phases: Hemostasis, Inflammatory, Proliferative, and Maturation. The healing process is remarkable and complex, and it is also susceptible to interruption due to local and systemic factors, including moisture, infection, and maceration (local); and age, nutritional status, body type (systemic). When the right healing environment is established, the body works in wondrous ways to heal and replace devitalized tissue. Since microneelding stimulates the body’s natural wound healing processes by creating micro-injuries, the treatment results in cell turnover and increased collagen and elastin production, therefore reversing as well as preventing signs of aging. Another key benefit from Fractional Mesotherapy is increasing transdermal penetration of actives, facilitating higher product concentrations in the dermis. This has the potential to make topical treatments more effective. Studies suggest that using a skin needling system can increase the effectiveness of topical treatments by several hundred percent. Mesotherapy was discovered by the late Dr. Michael Pistor more than 60 years ago in France. According to Dr. Pistor, by definition, Mesotherapy is what he termed “surgical medicine” because it is the practice of placing medications by injection directly into the skin at the site of pathology or condition being treated. The term “Mesotherapy” derives its name from two words: meso and therapy. Meso refers to the embryonic tissue (mesoderm) which gives rise to the connective tissues of the body. Thus, the area of the dermis (skin) where the injections are placed is the mesoderm or middle layer of the skin. Mesotherapists describe their specialty as treating the ‘middle tissues’ since meso also refers to the middle. The word therapy refers to the type of treatment, with Mesotherapy; the therapy is in the injections. Modern science has been able to explain the underlying physiology of Mesotherapy. Quite simply, Mesotherapy effectively utilizes the dermal circulation. Dermal circulation is known as redundant circulation. With this type of circulation, the vessels of the dermis (skin) can be thought of as a complex maze that is difficult to navigate. 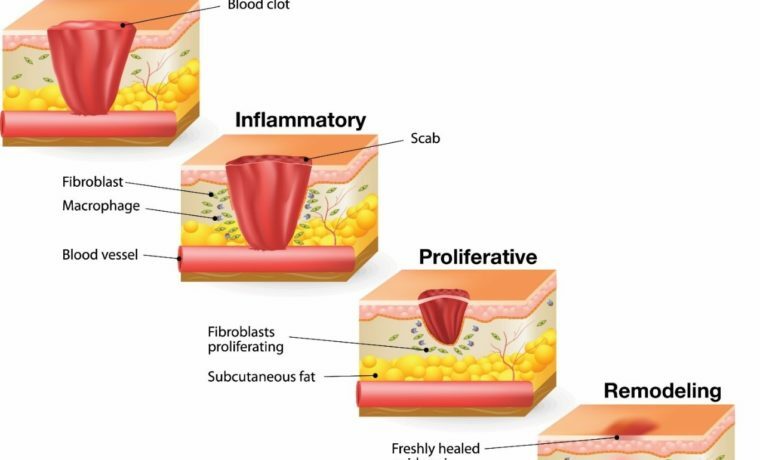 Once medication is injected into the dermis, it will affect the target tissue. However, due to redundancy in circulation, once the injected medications get into circulation, they will stay for several hours and sometimes as long as a week. Additionally, there are many little pores in the blood vessels of the skin which permit solutions to diffuse in and out. As Mesotherapy increases in demand and popularity many clinics have seen the benefits of Mesotherapy and its stability within their clinic. Not only is Mesotherapy a popular stand-alone treatment, it plays a beneficial role in its ability to be combined with a variety of other procedures or as part of a client treatment plan. By personalizing each clients treatment and focusing directly on their individual requirements and concerns the results are at a level that has never been seen before. Mesotherapy is a popular option for clients seeking an alternative treatment to dermal fillers or wrinkle relaxing injections. Mesotherapy can also be incorporated into current treatment plans for clients who are receiving these treatments and would like further rejuvenation in other areas of their face, neck and décolleté. For a limited time, we are offering special introductory pricing.